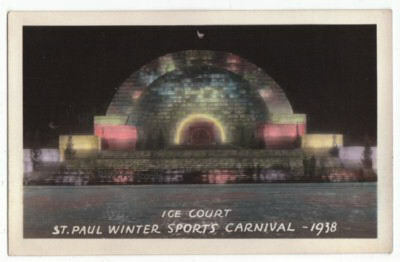 It’s St. Paul Winter Carnival Time Again! 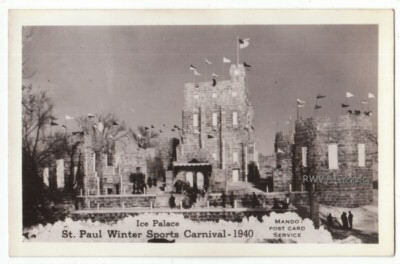 I’ve just realized it’s St. Paul Winter Carnival time again. This Minnesota winter sports carnival officially kicked off this past Thursday. 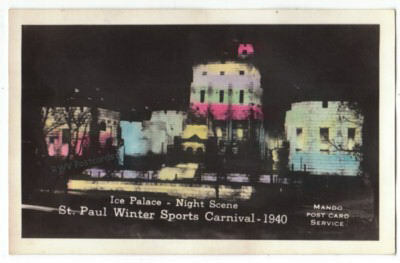 Great timing because I just bought a 900 postcard lot that contained four St. Paul Winter Carnival Photo Postcards of the 1938, 1939, and 2 of the 1940 Ice Palaces (one illuminated). 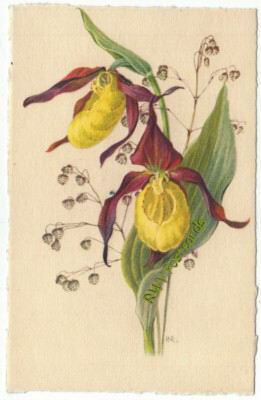 It’s exciting when I find postcards, in lots or on buying trips, that have a personal connection. My Dad used to take me to see the ice palaces when I was little and they were still being built. 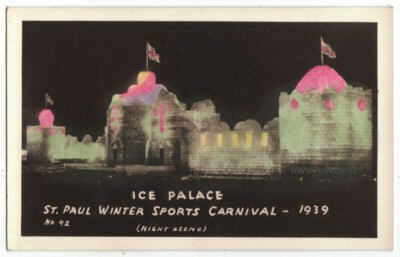 For those that would like a little background on these wonderful ice palaces, please read my earlier blog post – 1941 St. Paul Winter Carnival Ice Palace Postcard.